There’s a commonly held fallacy that your furniture and possessions are automatically covered by your removalist’s insurance when you move. Unfortunately if that’s what you believe and your moving company should make this clear from the outset what is covered and what is not otherwise, you’re in for a nasty shock if something goes wrong. Removals operate like airlines with regards to insurance. You are not covered by insurance as a standard, so you need to take insurance out in advance in case anything should go wrong. In addition, Australian law doesn’t require removalist companies to carry insurance other than transit insurance. What’s more they would have to be a licensed broker to offer full insurance. Other removal companies might say they are insured, but check, they are probably referring to their transit insurance that kicks in during your move. Should the truck be involved in a crash, overturn or catch fire during transit, the insurance will cover all of your belongings. There will be customer excess on this insurance, so check with your moving company what the amount is. If you have home/contents insurance, check your policy as it may cover removals. If a move isn’t covered find out whether a premium could be added, or your coverage extended during the time of your move. Another option is to speak to your moving company if you require full insurance for your move. They can probably recommend a broker who they work with regularly, who can give you advice and a quote. What your removalists can and can’t insure during your move in terms of transit and storage cover is governed by the Financial Services Reform Act, which came into effect on 11 March 2004, and is aimed at protecting the consumer from unscrupulous brokers. Removalists can’t for instance “offer to arrange insurance, sell insurance or in any way provide insurance unless they have an insurance licence or being an authorised representative of a licensed Insurer”, according to the Act. Any company (including removalists) that offers you any sort of insurance or financial product must be an Australian Financial Services (AFS) licence holder. There are three categories in which a broker can be licensed: Personally, as an AFS licence holder’s director or employee, or otherwise as an authorised representative of an AFS licence holder. That AFS licence is what’s going to give you some sort of recourse, if things go pear-shaped and there’s a dispute about your insurance claim. A Product Disclosure Statement and Financial Services Guide – explaining all aspects of the policy and your rights and obligations before they arrange any insurance for your move. So it’s up to you to ensure that you have proper insurance for your move. The bottom line is if you want your goods to be safe and to prevent a financial loss if things do go wrong. Firstly find out if your removalists do carry an insurance licence and what sort of coverage they offer. 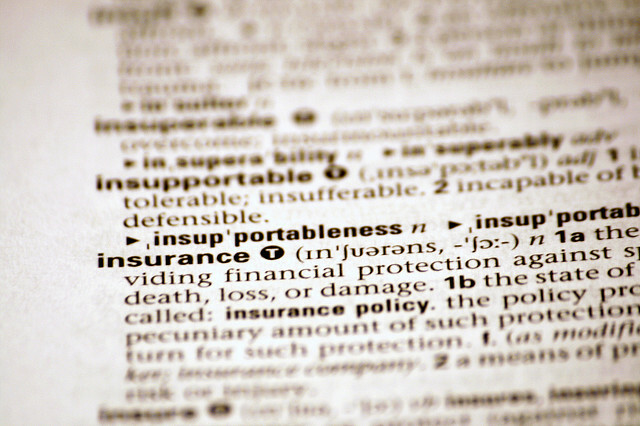 Check whether you’re covered under your existing household insurance. If that’s not an option and you have to source insurance for your move yourself, use common sense. Shop around and find out what’s on offer. Find the best money can buy within your budget. Let’s face it, insurance is very much a grudge purchase. We’re forking out money based on something that is unlikely to happen. But Murphy is always lurking just around the corner. Should you choose not to insure your possessions and something does go wrong you could face devastating material and financial losses. Image courtesy of Alan Clever on Flickr.